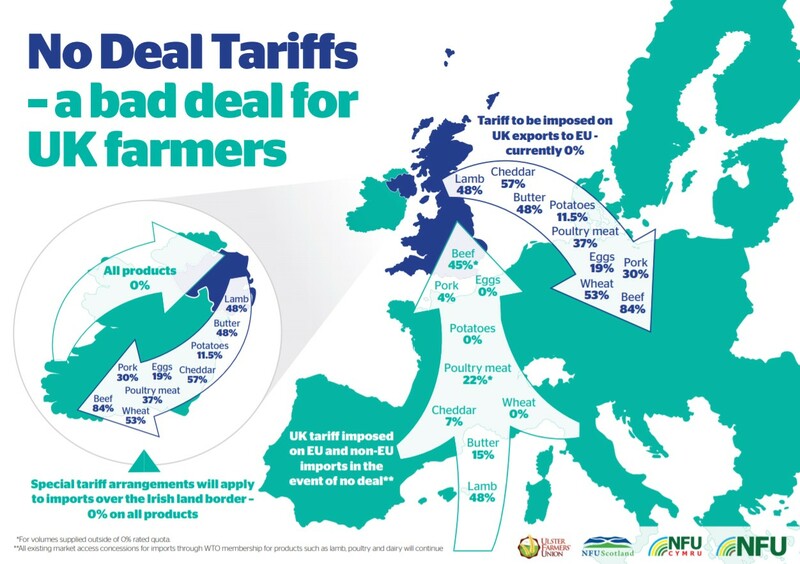 Home » Agri-Business » Map: What impact will no-deal tariffs have on UK farmers? UK farmers have expressed some relief to the extension to Article 50 granted by the EU – but have underlined that their concerns of the UK leaving without a deal remain as strong as ever. The National Farmers’ Union (NFU) president Minette Batters responded to last night’s announcement by EU leaders who have offered to delay Brexit until May 22 – if MPs approve Theresa May’s deal next week. Batters said: “While we are relieved that it appears farm businesses will be spared the worst of a no-deal Brexit on March 29, it is clear that last night’s agreement on delaying Article 50 merely delays, rather than eliminates, the possibility of leaving without a deal. “That prospect remains a reality, perhaps in as little as three weeks’ time, on April 12. Batters noted that the prime minister and parliament have been given a “brief window” to find a way to ensure an orderly departure from the EU at the end of May. In a no-deal scenario, as well as severe tariffs proposed by the UK government on EU produce such as beef – which will be slapped with a 45% tariff – as things currently stand, UK exports to the EU will be met in kind – with levies of up to 84% on beef and rates above 50% on cheddar and wheat. “We urge them to seize this opportunity without hesitation, and to identify the concessions they will all need to accommodate to finally take no-deal off the table. “In particular, the short extension agreed by the EU must be used immediately to resolve the current impasse. 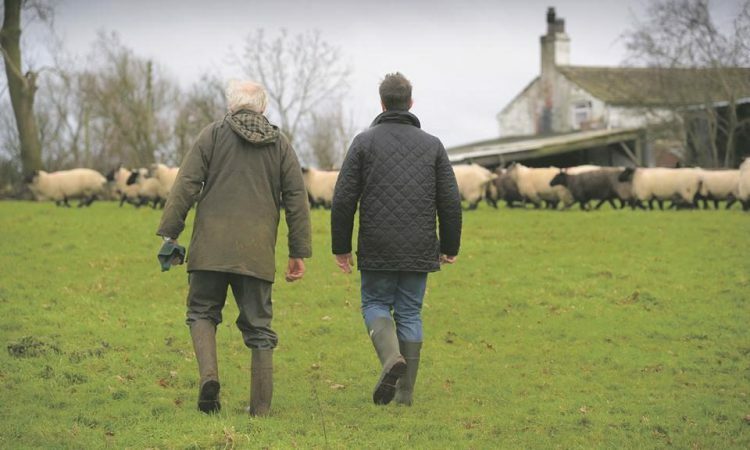 The president said that British farming, along with British business on a wider scale, has been left in an “intolerable situation of extreme uncertainty” with no clarity as to what a future trading relationship with the EU would have been like. “So, while this extension provides a short respite, it would be unforgiveable and grossly irresponsible for government and parliament to leave us in the same, damaging situation we have experienced in recent days,” she said. A no-deal exit from the EU would be disastrous for British farming and food production and should be avoided at all costs. 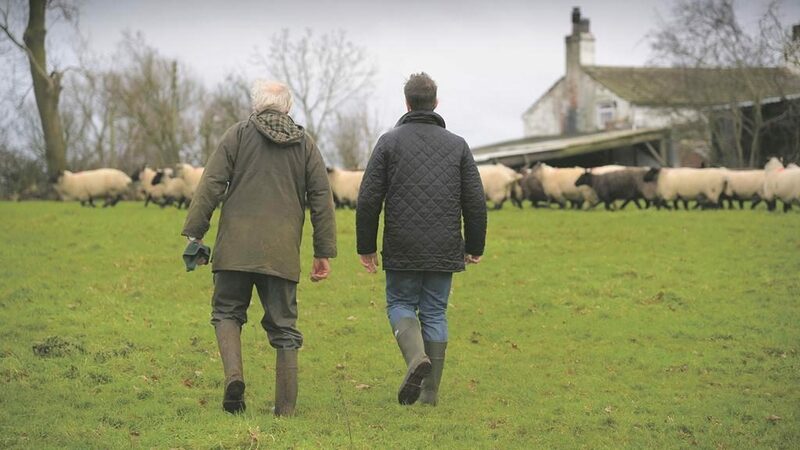 “The continued uncertainty is now proving extremely damaging to our farmers and growers and wider UK industry and the lack of clarity about whether we leave with a deal or not is totally unacceptable,” Batters concluded.